Suriname is a strange and wonderful potpourri of cultures, wildlife, and landscapes on the north-eastern coast of South America. It is home to over 500,000 people and is considered one of the most ethnically diverse countries in the world. Popular attractions include the Central Suriname Nature Reserve, Arya Dewaker Hindu Temple, and Fort Zeelandia in Paramaribo. Get ready to explore the “beating heart of the Amazon” with cheap flights to Suriname. The main airport is Johan Adolf Pengel International Airport (PBM), which is a 1-hour and 15-minute drive from the capital city, Paramaribo. As a former Dutch colonial town, the streets of Paramaribo’s inner city offer a surreal step into 17th and 18th century Europe. The Saint Peter and Paul Cathedral is iconic. From the Fort Zeelandia fortress in Paramaribo and Fort Nieuw Amsterdam in Nieuw Amsterdam to the Lalla Rookh Museum Jodensavanne ruins, Suriname abounds with landmarks that hum with historical tales. With over 90% of the country covered in tropical rainforest, it’s no surprise Suriname is considered a wildlife treasure trove. 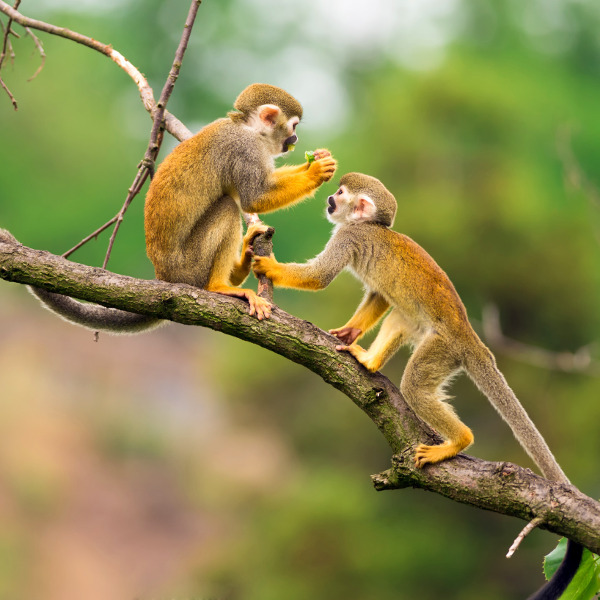 Squirrel monkeys and cocoa frogs are just two of its exotic residents. Suriname experiences a tropical climate with two dry seasons and two rainy seasons. The dry sea-sons are from February to April and August to November, while the rainy seasons are from April to July and December to January. The best time to visit Suriname is during the dry seasons. For wildlife lovers, the turtle viewing season is at its best from late-February to May. 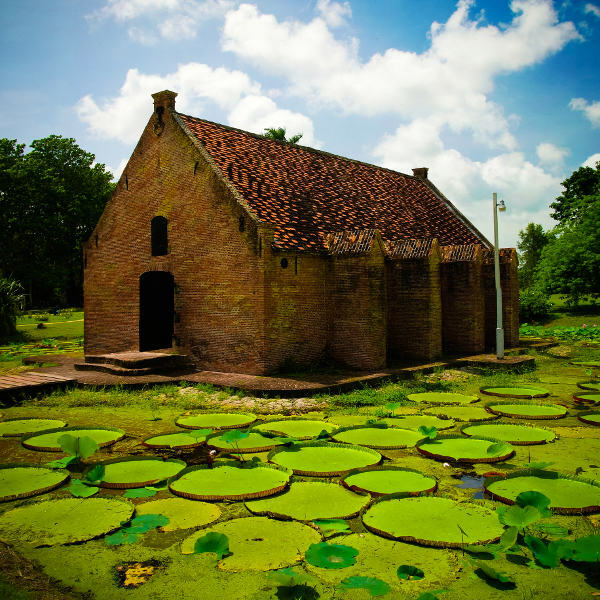 For cheap flights to Suriname, the best time to visit is during the rainy seasons. Suriname is a strange and wonderful place. 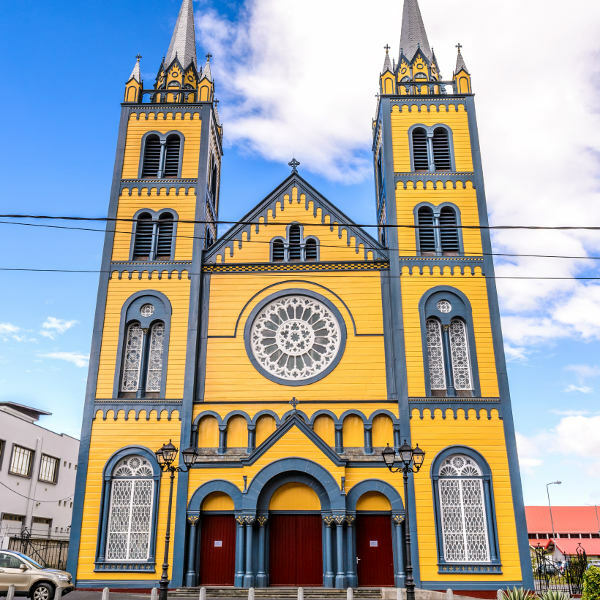 With over 90% of the country covered in steaming tropical rainforest and Dutch architecture lining the streets of the capital city, Suriname is a country of exotic contrasts and wild landscapes. Some of its most magnificent natural attractions include the Brownsberg Nature Park, Brokopondo Reservoir, Galibi Coppename Nature Reserve, Central Suriname Nature Reserve, and Garden of Palms. These vast tracts of tangle jungle are home to gushing waterfalls, rugged mountains, towering equa-torial plants, and tropical animal life. Whether you are exploring the forest trails on foot or paddling down the river in a kayak, these untamed landscapes offer a chance to experience the wild soul of South America. For a taste of the unique potpourri of culture that Suriname is famous for, the Arya Dewaker Hindu Temple in Paramaribo (the capital city and a UNESCO World Heritage Site) is an architectural marvel and important Hindu site. A number of private operators offer tours that will take you into the heart of the jungle where native villages live harmoniously with nature. Compare several airlines and book your cheap flights to Suriname online at Travelstart! Suriname is considered a relatively safe destination. However, you should still use common sense and take the usual precautions, as you would in any other foreign country. Comprehensive travel insurance to cover medical expenses and theft is recommended. Keep valuables in a safe place and maintain caution in crowded areas, as pick-pocketing and theft do happen. Avoid wandering around alone at night (especially through the Garden of Palms in Paramaribo) and steer clear of isolated areas. Vaccination against yellow fever is required. Precautions should be taken to avoid mosquito bites, as Zika virus, chikungunya, dengue fever, and malaria are a risk in Suriname. Other recommended vaccinations include: hepatitis A & B, typhoid, rabies, MMR, diphtheria-tetanus-pertussis, meningitis, varicella, polio and influenza. Stick to bottled water.